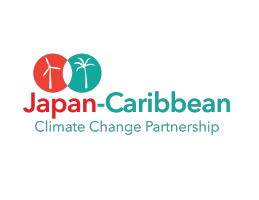 The United Nations Development Programme (UNDP) in collaboration with the Ministry of Economic Development, Planning and Trade, announces its call for Project Concepts under the Japan-Caribbean Climate Change Partnership Project. All Registered NGOs and Academic Institutions, Government Ministries and Statutory Bodies are urged to submit proposals targeting the four focal areas of the project: Water Resource Management; Sustainable Agriculture; Community-based climate smart resilient infrastructure; and Renewable energy and energy efficiency. Grant amount per project is USD $50,000 for a duration of up to 16 months upon approval of the project proposal. The Deadline for submitting proposals is Friday, 26 August 2016. For information on the guidelines for application and templates, please contact Ms Annlyn Mc Phie, J-CCCP National Focal Point at 440-2101 or email her at annlyn.mcphie@undp.org.